Been on a big Esch/JSS/CS kick. Dumping some scores. Haven't gotten the Normal or Hard 1CCs yet, but I'm close on the Normal one, just need to get to Divine Flow with more than a handful of lives (I came close with like 7 lives then lost a bunch to stupid deaths before Mitsurugi Rebirth). 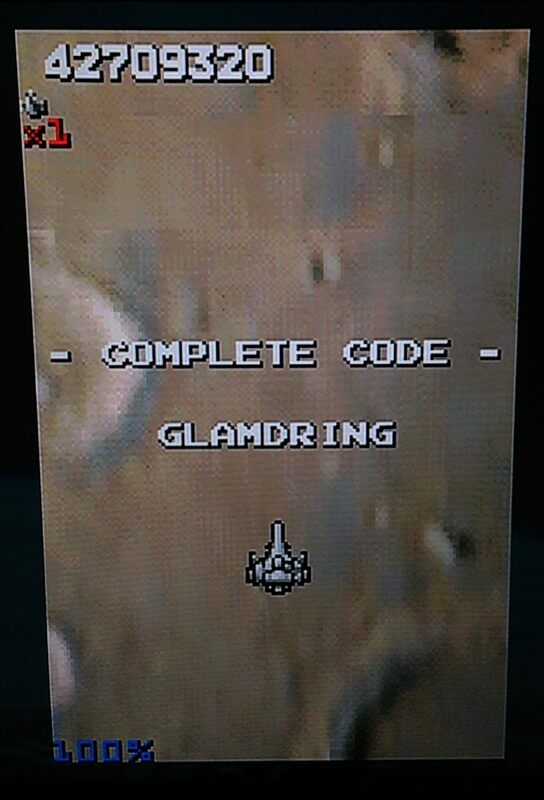 Hoping to unlock the secret stage/ship without resorting to God Mode. Recently discovered this little gem. 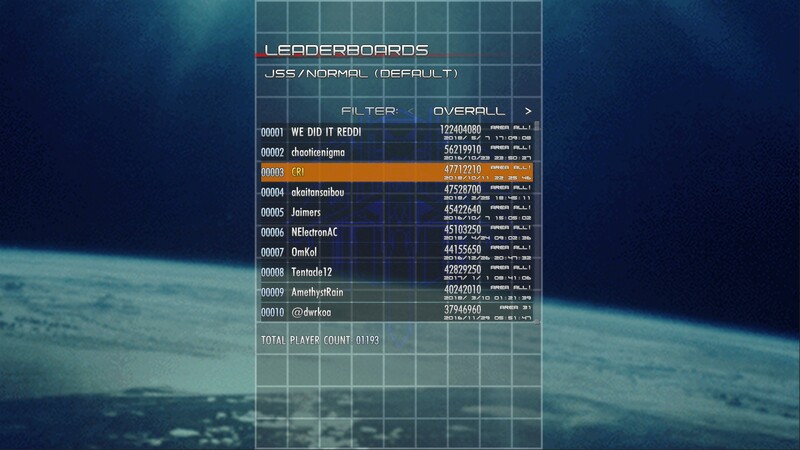 Unfortunately I wasn't online and it didn't go to the leaderboards. But I did record it for future reference. Yeah, I've finally gotten to work on Judgement Silversword at last (Been wanting to work on this for some time now), after getting my 1st LNB in a Touhou game ever (Ever since I got that one, I've been really itching to try out other challenging games to see how much my skills have grown since working on just Touhou for a month and a half or so), and I also have a pretty good capture card to record console games and all with, meaning I can capture runs of Judgement Silversword on the Xbox 360. So yeah, I started on this about two weeks ago, and not long ago, as of late yesterday, I got my 1st 1cc of Judgement Silversword Normal Mode using the default ship! Really pleased to get this one down, and I got this in my 1st credit of the day late yesterday! Normal - Default Ship "S-AIXRK"
I turned off the sprite limit in this run. Really surprised this run actually cleared, particularly since I made some glaring mistakes in this run that were unfortunate (Then again, most of my runs of JSS in-general always have that one annoying mistake that's pretty lame, but eh). 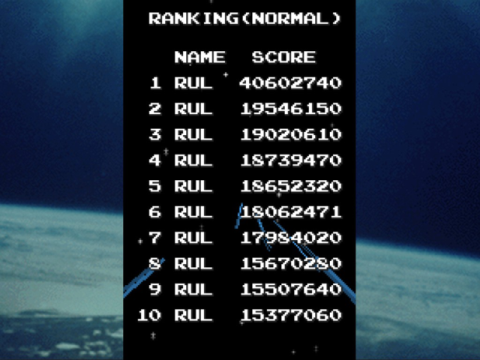 I may want to improve on this run at some point in the future, but for now, I'm really pleased about finally getting this 1cc. My right index finger sure needs a break, lol. I'm really thinking about doing another 1cc of Judgement Silversword Normal Mode, using the secret ship. That might happen soon. Added. Congrats on the clear! Same to Kollision. I recommend giving Hard mode with secret ship a try, its around the same difficulty as Normal mode with default ship. Hey Zaarock, what's up? Yeah, while I'm still around here (before I go off again & go work on some more games), I'll just submit this little thing I did w/ the secret ship in normal mode a couple months since, well, what the heck, why not (It ain't all that great, haha). Normal - Secret Ship "G-XACALIA"
Yeah, back at March, I got this one after a couple tries on Normal mode w/ the secret ship. Yeah, the secret ship's really as powerful as they all say! 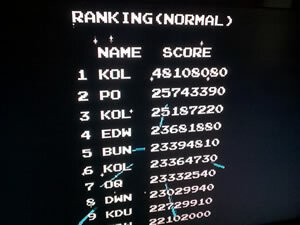 I might want to improve on this in the future (A lot of mistakes were made on area 30 & the TLB, lol), but eh, when I do get back to JSS, I'll definitely want to improve my Normal mode default ship score more, & getting that Hard mode 1cc w/ the secret ship more. Thanks (Even though I know it's been a while, haha )! Yeah, I was gonna do Hard mode w/ the secret ship back at March, but I decided to give JSS a break for now. In the little time I was working on JSS Hard mode w/ the secret ship before I decided to take a break, though, it was definitely a lot of fun to do, so it's definitely something I'll want to get to work on in the future, when I get back around to JSS again! Accepting scores for the new PC/steam version. From what I've tried it seems identical to the 360 version but with some arranged music. So far I was able to 2cc the game. After countless credits I think I finally figured out Divine Flow and might be able to beat him in a single credit soon. I just need to learn how to manage all the enemies in the beginning of stage 27, I lose 3+ lives in that part alone. I honestly wasn't expecting much of this game when I bought it during the winter sale, but I was blown away. One of my favorite Steam purchases so far. 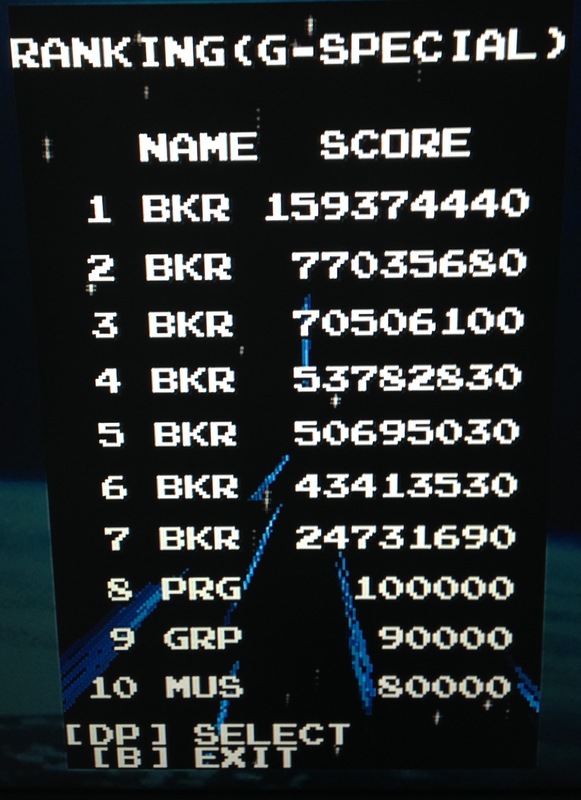 Updated, good job with the normal 1cc! My right arm is killing me I don't think I'll be able to play with the double shot that much ugh. What is the consensus about using autofire? Autofire is allowed but feel free to specify if you used it or not. IIRC even with auto you have to shoot at different frequencies at different shot ranges so either you need multiple autofire buttons or have to put some thought into using both manual and auto. I know SFKhoa used autofire on a hori 360 pad & when playing hard mode on PC I used 10hz auto for general use. Autofire has no benefit for the Secret ship though. Last edited by gimebe on Sun Jan 28, 2018 12:34 pm, edited 1 time in total. Wow, first Hard clear with default ship. Well played! Just checked something because I was pretty sure that we were doing something wrong on the scoring. Using the shield is completely fine as long as the shield never comes into contact with an enemy bullet. You can safely use it to build multiplier off of enemies as long you don't also shield a bullet and still build up the static multiplier. 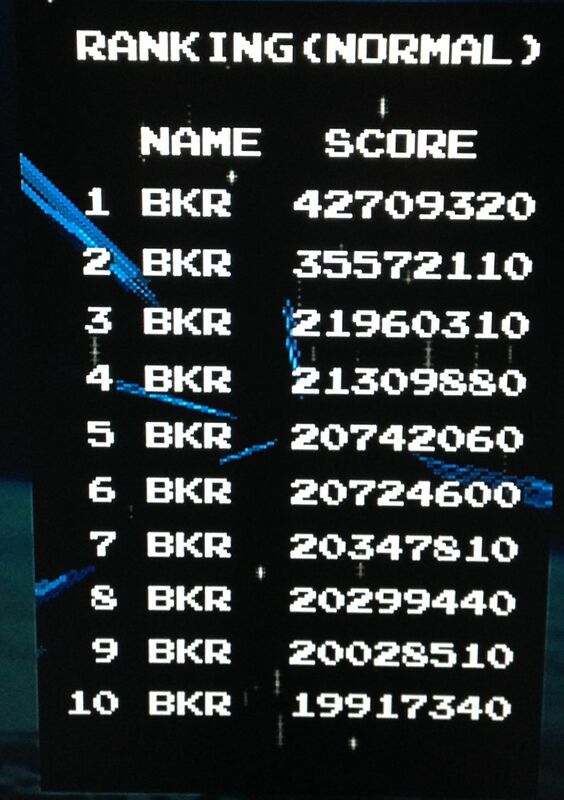 Checked by playing up to where you get the first increase of multiplier then using the shield. Will be coming back to this soon and am obviously going to be rusty, but this will require some rerouting. Managed to get past Area 27, but still making dumb mistakes everywhere. Going to need to grind the later stages a bit, but it's still rough cause it's easy to just die many times in a row. Was hoping to have hit Area 30 or 31 by now, but hasn't happened due to just chaindying at some points. Also, while you can shield enemies but not bullets and still keep the multiplier(for Normal because you're not realistically surviving that long on Hard without), it doesn't really require much rerouting because most of the time there's bullets around to make that not an option. It does make stuff like Area 18 quicker since you can actually shield stuff there. 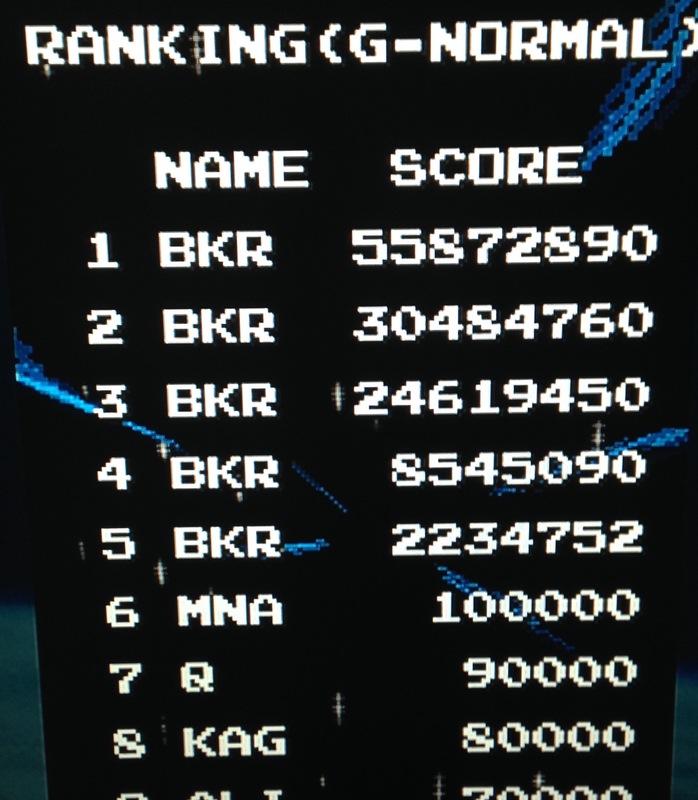 Also managed to dodge Final Judgement on both Hard and Normal once with Stage 6(Area 31) start for practice. Still need to practice that area for consistency, as well as Stage 4(21-26) and 5(27-30). Also any scores now will be from PC version for me. Last edited by gimebe on Sun Jan 28, 2018 12:33 pm, edited 1 time in total. Cleared JSS Normal finally. First time was without autofire, just barely made it through with a TON of mistakes at Divine Flow (10 lives going into Divine Flow, ended the game with no extra lives at all). Then I got a better score going into Divine Flow with only 7 lives (I decided to turn on autofire and disable the sprite limit for convenience's sake). Autofire's handy to have. It bumps up your damage potential enough to damage some bosses just enough to skip a few phases, although it's not a necessity by any means. And a few quick clears with the other ship. Not too tricky against bosses as it's pretty powerful, though you get three fewer life drops in Special Mode and you have to kinda relearn Normal Mode as the homing orbs change how you have to tackle certain waves. Finally made it past mirrorshield! Lord Hypnos - 10,166,260 - 22? Updated with some recent scores. Nice to see this game so active. 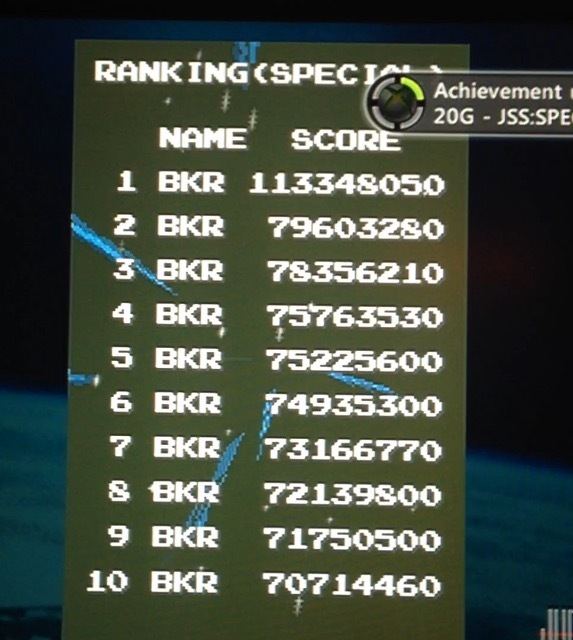 Improved my scored a bit in Normal and Special. Both runs are recorded.